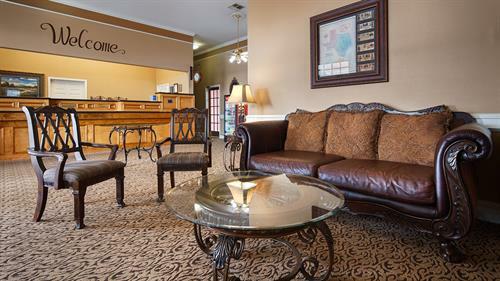 Stay at this Brenham, Texas hotel- ideal for family retreats, wedding guests, outdoor adventures, or just a quiet, down-home place to stay. 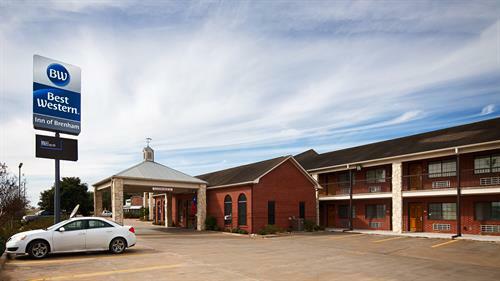 The BEST WESTERN Inn of Brenham is located halfway between Austin and Houston, less than a mile from the intersection of Hwy 290 and Hwy 36. 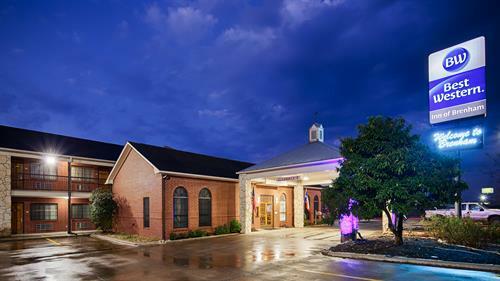 Enjoy convenient access to Blue Bell Creameries and Tours, an eclectic mix of antique shops and boutiques, historic Washington-on-the-Brazos State Park, the beautiful Antique Rose Emporium, the Giddings Stone Mansion, Heritage Home Tours and so much more! 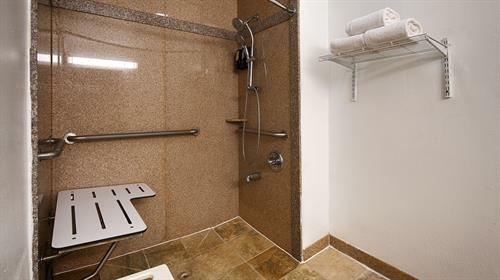 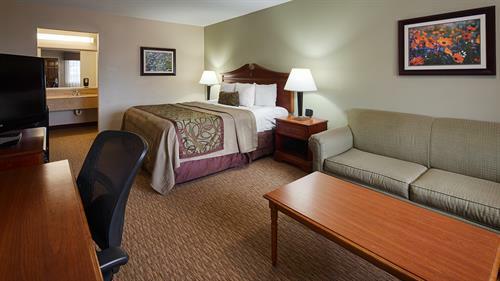 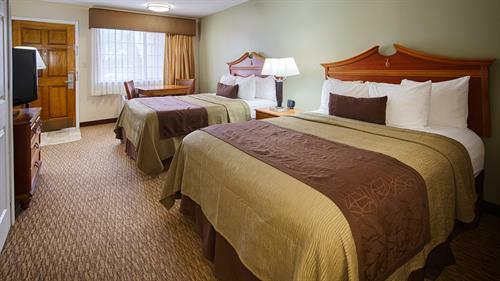 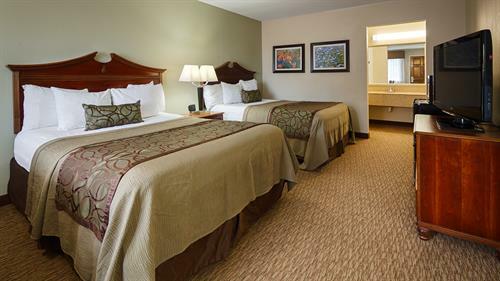 Each clean, spacious room features free WIFI access, large flat-screen TVs complete with DISH network, pillow-top mattresses, energy-efficient task lighting, a mini-fridge and microwave, and several other amenities at your fingertips. 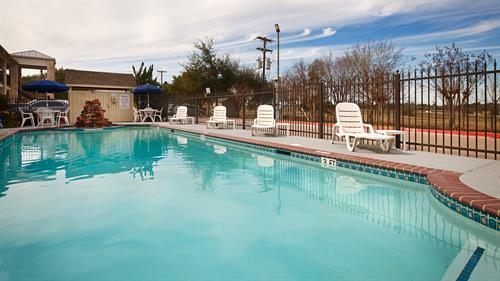 Relax at the large outdoor pool and listen to the water splash off the rock fountain, or spend an afternoon grilling with the family at the picnic area provided. 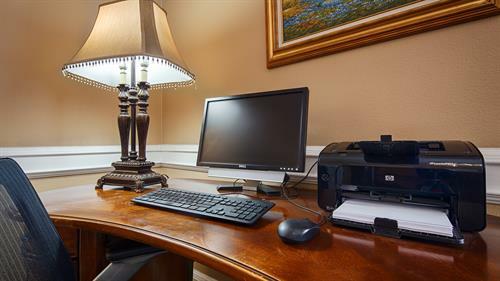 Friendly staff is ready to ensure a comfortable and memorable stay. 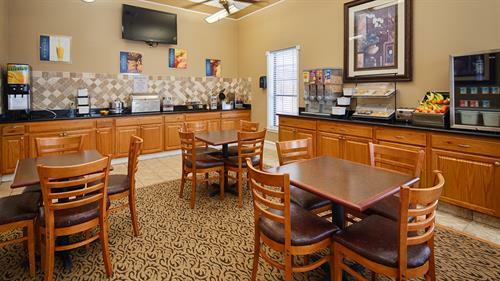 Make an online reservation today and stay at this Brenham hotel!